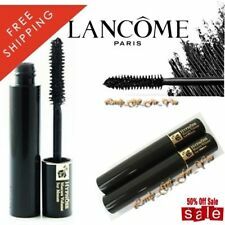 Lancome Hypnose Mascara Volume Black Noir Hypnotic Mini Travel Size 1pcs X 2ml. 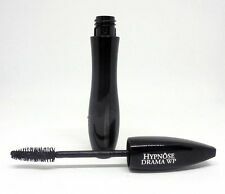 HOW TO APPLY HYPNÔSE MASCARA. Glides through for lash separation and even application from base to tip. Hypnose Drama WP. Shade ~ Black ~. ( Doesn't Affect The Producto ). With every stroke our glossy mascara builds a stunning gaze, for beautiful, full body lashes. Place curved side of brush at the root of your lashes, gently comb from the root to the tip with a zigzag motion. Easily define and contour your eyes with Crayon Khôl eyeliner. HOW TO APPLY CRAYON KHÔL. 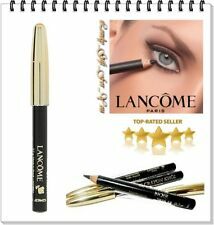 This product is Mini TRAVEL size 0.7 g. • Enhance a smoky eye look by gently pulling down the lower lid and gliding the pencil along the inner part of the eyelid. Palette 4 fards à paupières. Neuf, jamais servi. Hypnose Drama. Size: ~ 0.22 oz ~. Never Has Been Used Or Tested. ( Doesn't Afecct The Product ). Contails silky soft luxurious blusher, contour & highlighting pressed powders. Shade: Plum Elegance 385. All-in-one palette to sculpt and shape your facial features. Use to sculpt cheekbones and add a healthy radiant glow. 2ml Mini Travel Size. - Go as bold, or natural as you desire with every stroke. The SoftSculpt ™ formula is enriched in ProVitamin B5 and leaves lashes feeling soft and supple. Color Design Sensational Effects Eye Shadow Quad. Smashing little quad compact with colours that are really easy to use. Lezard (matte). Usually a quick internet search of the product will bring up a wealth of information and colour swatches too. Shade: ~ champagne glow ~. Size: ~ 0.5 oz ~. but doesn't affect the product. No box, open palette, mascara is missing. Wide brush doesn't have plastic around it. New Lancome Full Size Juicy Tubes Lip Gloss Many Colors - You Pick !! Pink sparkle accent that matches make-up bag. A second ring with a spring-loaded opener is also attached. Lancome Juicy Tubes Lip Gloss-various !BRAND NEW!